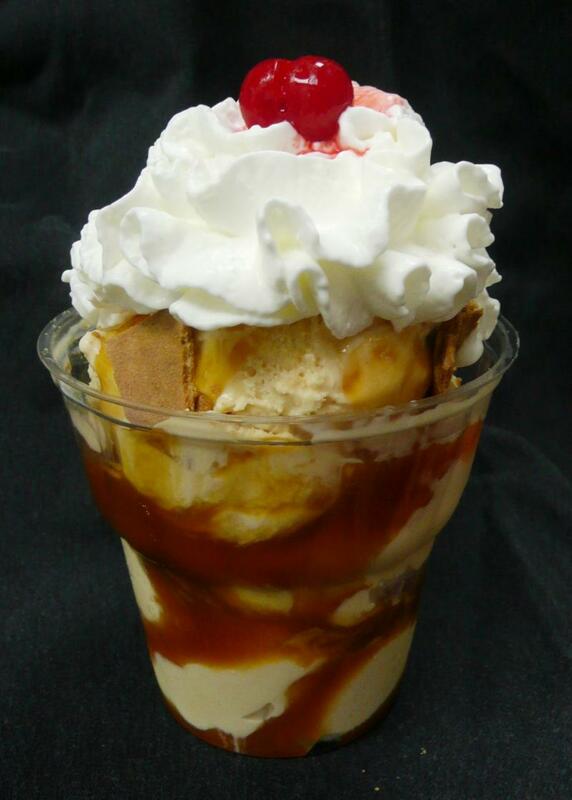 Anoka's own Hometown Ice Cream Shoppe! Two Scoops is pleased to offer super premium hard ice cream to the community. Stop by and enjoy our super premium ice cream, or pick up an ice cream cake or other treat to take home today. We offer the finest super premium hard ice cream, made with the freshest and highest quality ingredients! We believe in our community and are pleased to support local programs that benefit the youth of our community. Stop in to visit, and try a scoop of your favorite flavor. Then - tell all your family and friends! Old Fashioned Vanilla ice cream with caramel and crushed up sugar cones, topped with whip cream and a cherry. Copyright 2010 Two Scoops. All rights reserved.